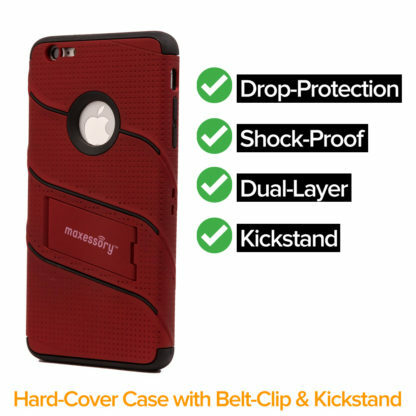 Apple iPhone 7 Phone Case – Maxessory Sanctuary Heavy-Duty Full Body Rugged Hybrid Shock-Proof Dual Layer Protective Cover w/ Belt-Clip Holster Kickstand. 👌 PERFECT FIT: Full-coverage shield guaranteed to align with Apple iPhone 7 ports, camera, speakers, and side-button. 📱 SHOCK-ABSORBING DESIGN: Drop-tested dual-layer hybrid protector with rigid hard-back shell designed to absorb drops, impact, and shock. ⚡️ SHOCK-PROTECTOR: Superior design using a hard shell and soft skin to provide quality protection. 🔨 DROP-PROTECTOR COVERAGE: Rugged protective damage-proof coverage provides tough indestructible four corner protection. 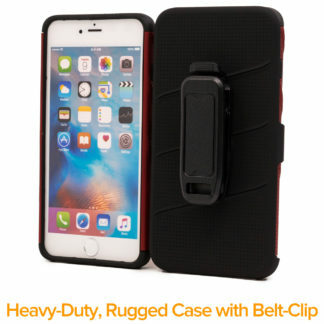 Ultra-durable rigid rubberized case built for sporty, active lifestyles. 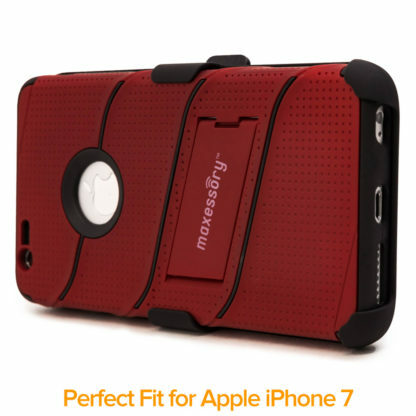 Maxessory Sanctuary Series – Offers premium drop-protection support to help encase your phone and guard it from an accidental drop. Shock-resistant hybrid phone cover design will provide full coverage enabling ease of use while securing your device during heavy usage and demanding conditions. Perfect phone cover while working, traveling, or doing sporty outdoor activities. Great gift for the holiday season for that someone special. 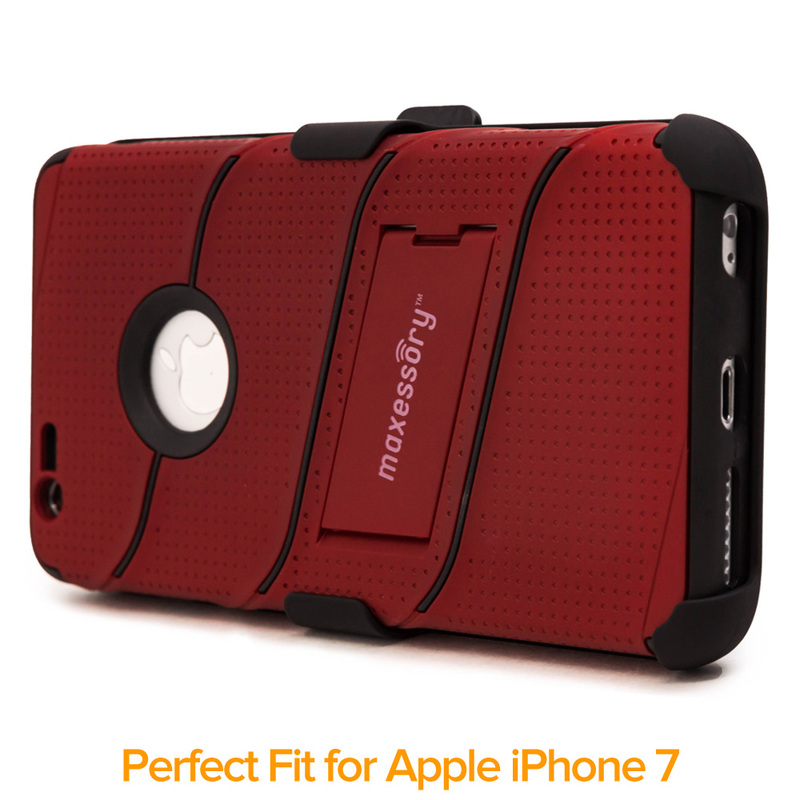 All cases and covers fall under Maxessory Warranty. 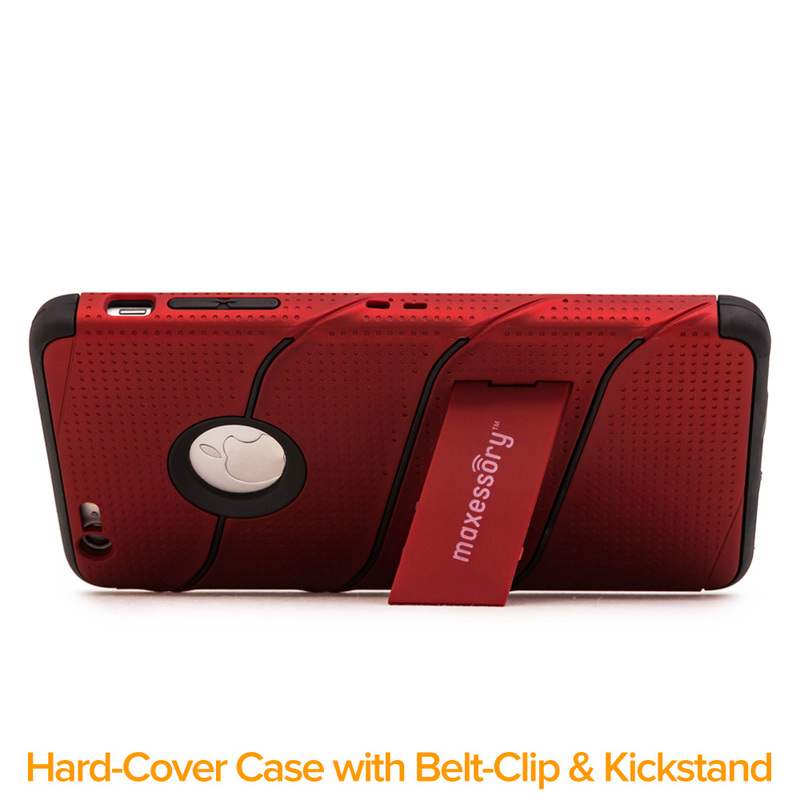 Works well with other accessories: pop-sockets, screen-protectors, and selfie sticks. ⌚️ Handling Time: All orders ship within 1-Day business day after payment is received. Buyers that do not submit PayPal payment within 48-days will be cancelled, unless the buyer has messaged with a status update. Reason’ returns with full refunds. Return shipping to be paid by the Seller. All refunds will be processed 1-2 business days after the item is received and determined to be returned in the same condition as described in the listing.